Are you ready to winter? We definitely are! The snowmobiles are prepared for the season. We opened a new snowmobile station. Our instructors were trained and certified. Lots of new interesting and hilarious stories were gathered during summer. 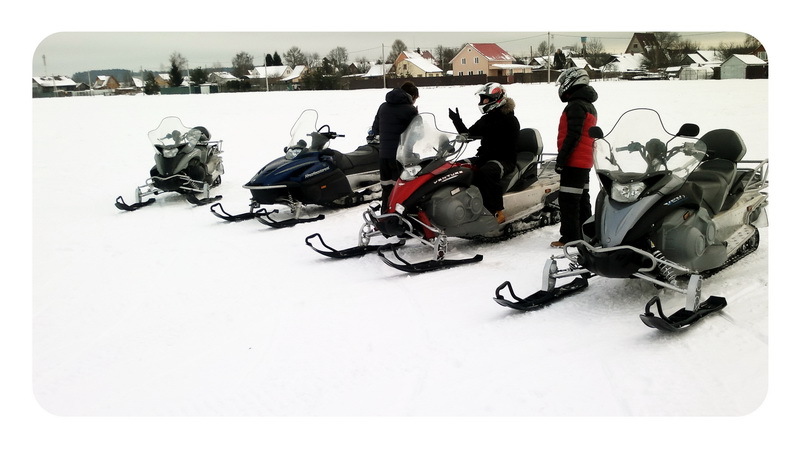 Company «Snegokhodia» (Snowmobile Land) offers cheap snowmobile rental in Moscow and Moscow Region (Podmoskovie). High-quality and reliable snowmobiles, experienced staff, various fascinating trails – we have everything for unforgettable outdoor relax. We offer modern four-stroke snowmobiles Multi Purpose and Yamaha VK Professional of 2008-2013 years of manufacture. Our team consists of professional riders and travelers. 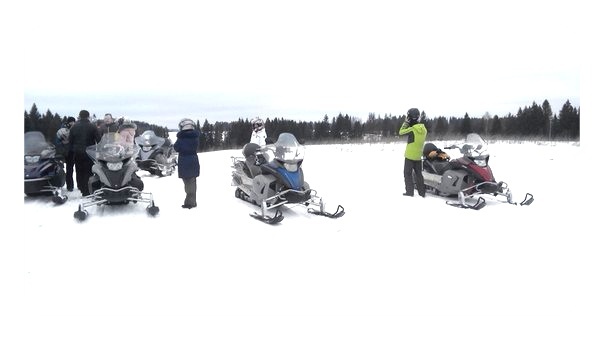 During the rides we will teach you the basic principles of snowmobile operation. We will tell you the interesting stories of our journeys. Before choosing a snowmobile rentaling company you will need to clarify what kind of vehicles you will get. • a snowmobile year of manufacture. Snowmobile manufactured more than 10 years ago are outdated both in terms of technical specifications and environmental and safety standards. • an engine type. The most widespread engines are two-stroke and four-stroke ones. Two-stroke snowmobiles are noisy and definitely are not environmental-friendly, the exhaust of the mixture of waste oil and gasoline is very corrosive. And if a poor-quality oil is used, the journey turns into a torture. Four-stroke engines are modern, they work very quietly and meet the currently environmental standards. • a snowmobile type. Snowmobiles are divided into tourist, utilitarian, sports, mountain types. 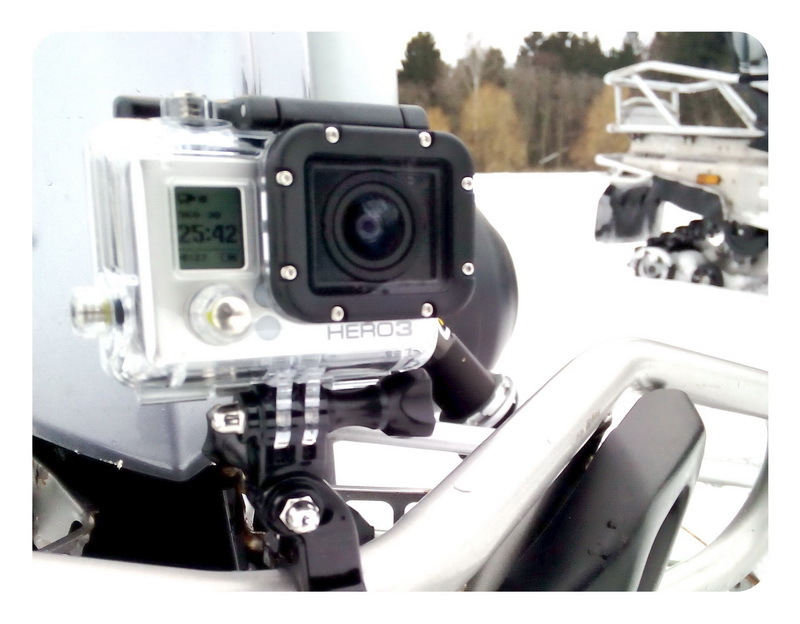 Our company allows you to try two types of snowmobiles, tourist and utilitarian. • the details of the trail preparation. 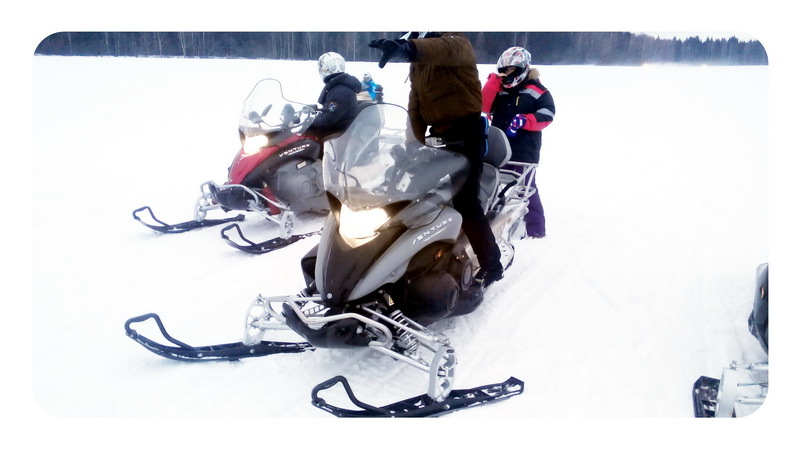 Snowmobile rental in Moscow Region is the main business of our company. For years we have been doing our best to organize safe and interesting snowmobile rides for all those who wish to ride. 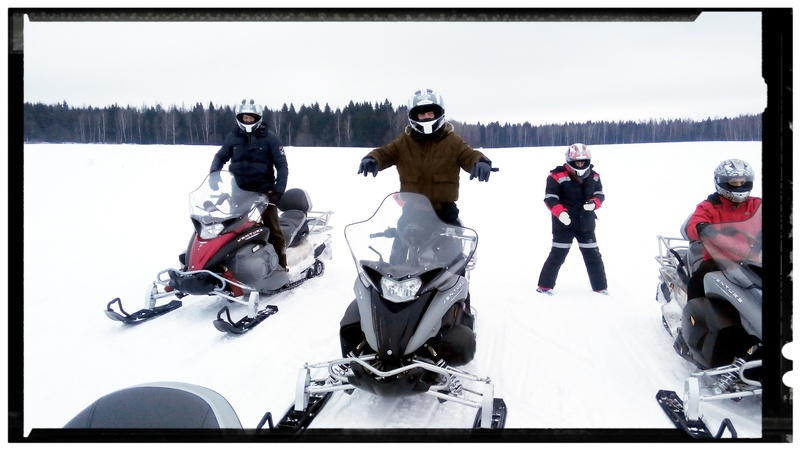 Should you prefer a quite ride in snowy winter woods with your family or want a race at the frozen surface of a water pond with your friends, we are always ready to rental you a snowmobile (Moscow). 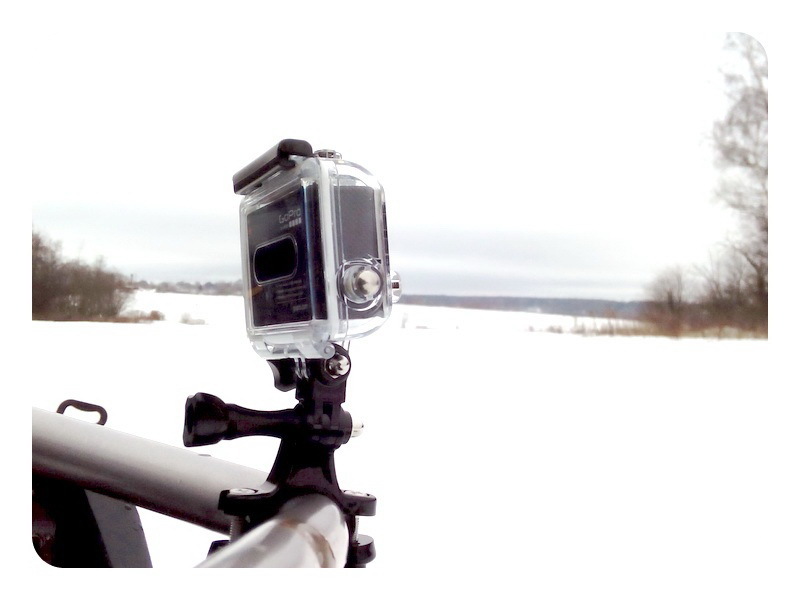 • fourthly, snowmobile rides are totally safe. Rental of snowmobiles in Moscow Region would be a perfect choice. Spend time in the fresh air and get a lot of pleasant impressions - what could be better in a sunny frosty day? We prepare our trails carefully and professionally. 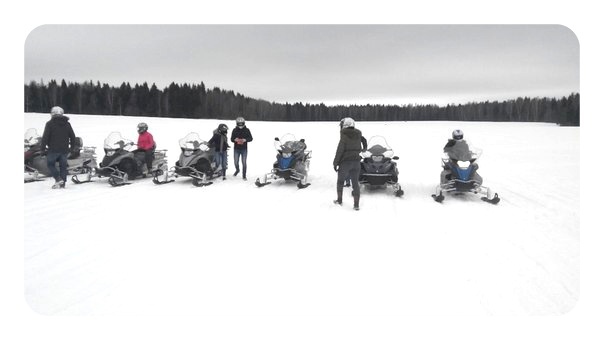 Since we have been providing snowmobile rental in Moscow Region for quite a long time, we have thoroughly studied the needs of the most of people rentaling snowmobiles. Therefore, we have developed several most attractive routes to satisfy the majority of fans of this type of recreation. 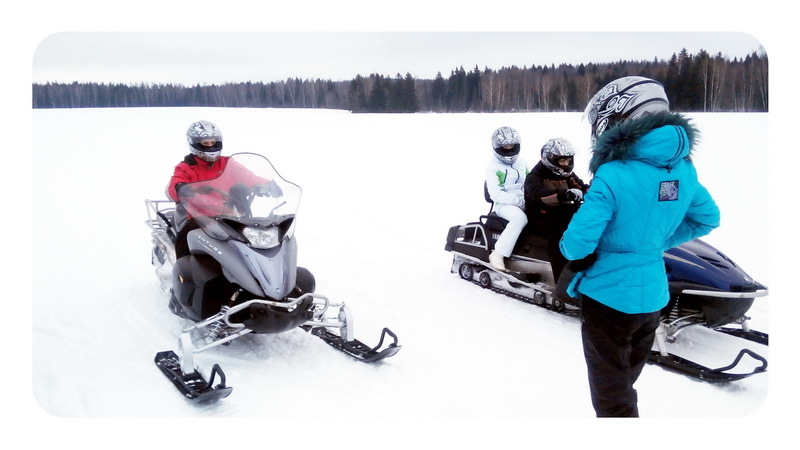 If you take the whole family with children to the woods, you will definitely enjoy snowmobiling in Moscow Region in the snowy forest, along a bank or a river bed, the surface of the pond. You get a chance to see almost untouched winter nature, and if you are lucky enough, meet wild forest dwellers: foxes, hares, wild boar, roe deer. Loving couples are offered a snowmobile rental in the evening. A joint ride in the evening winter forest, fresh air, a romantic dinner in a forest restaurant, unreal festive atmosphere - what can be more pleasurable for two loving people? Extreme fans were not left aside either. We give snowmobiles for rent to people who are bored with routine riding in snow-covered fields. Snowboarding on snowmobiles is a great way to experience adrenaline rush in the blood and get an unforgettable riding experience. * The price is indicated per a snowmobile. * The number of people riding a snowmobile (one or two) is up to you. * One snowmobile must carry no more than 2 riders. * The total discount is valid on weekdays and is 25% per each snowmobile when ordering 2 vehicles. The discount is not applied to equipment. Rental a helmet and a ski mask costs 250 RUR per person. You can also use your own motorcycle helmet if it meets safety requirements. Warm outfit is provided for an additional fee of 500 RUR per person. Dress warmly! A snowmobile is designed for 2 riders. The instructor has his own snowmobile!!! We provide family discounts (for families with at least 4 people). You must call us and schedule a ride in advance. You must provide your identification document. Having scheduled a ride, choose the clothing to wear during a trip. It is highly recommended to wear warm windproof clothes. A special attention should be paid to your shoes. We would like to draw your attention to safety. All snowmobiles provided for rental by our company are in excellent technical condition. We take great care to ensure that snow rides create only positive experience for our clients and in no case lead to serious injuries. If you are planning to rental snowmobiles in Moscow Region, we strongly recommend taking care of proper outfit, warm windproof clothing and shoes are absolutely necessary! 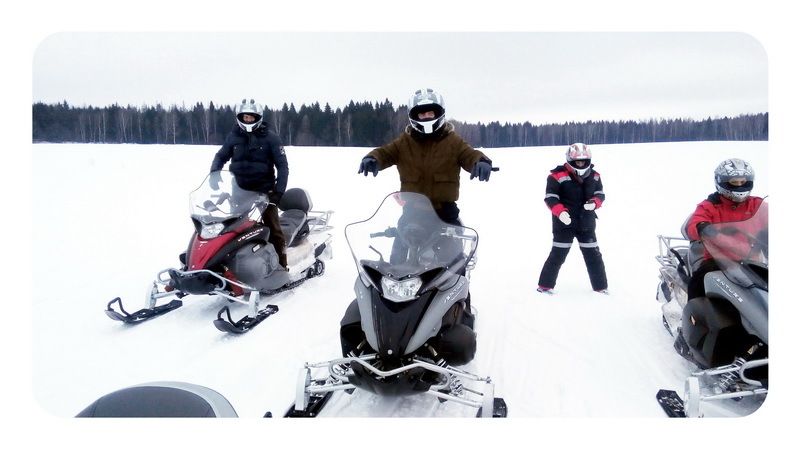 In the sphere of activity of our company, which is located in the village of Berezki (Istra district of the Moscow region, a 20-minute drive from Zelenograd), snowmobiles are rented in Moscow and the Moscow region. We invite all comers to have a great time away from the city bustle and enjoy the high-speed snowmobile ride. Our company is located in the settlement of Berezki (Istra District of Moscow Region, 20-minute ride from Zelenograd) and its field of activity comprises rental of snowmobiles in Moscow and Moscow Region. 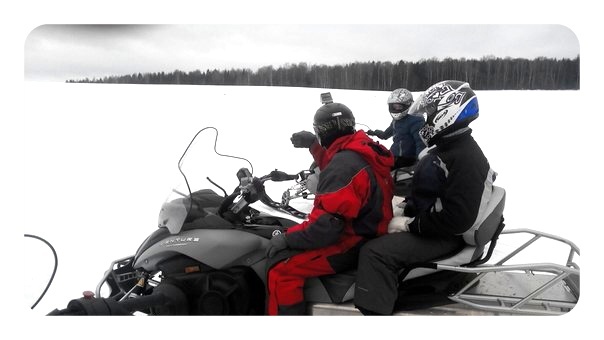 We invite all those who want to have a great time away from the city bustle and enjoy a high-speed snowmobile ride. 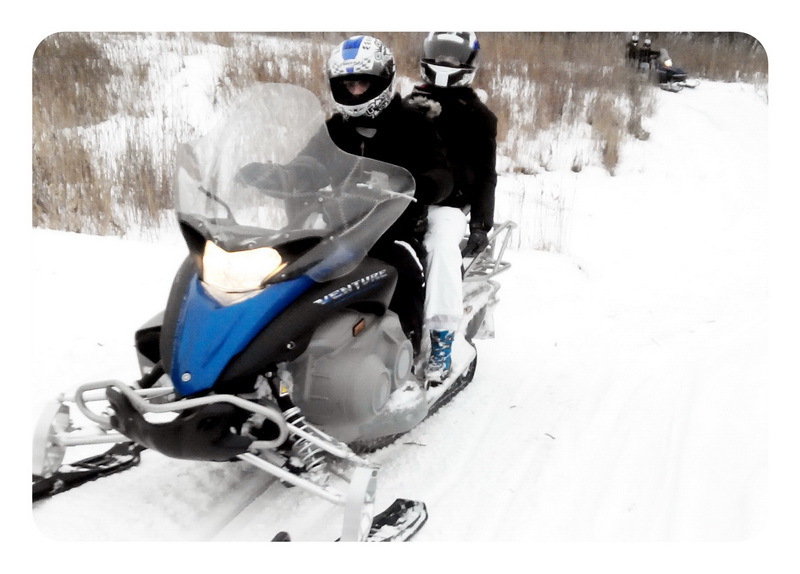 • we have professional instructors helping the beginners and other clients to master safe snowmobiling. It is easy to learn snowmobiling. High-quality assembly, good functionality and ease of operation make the snowmobile clear and convenient even for newbies. Nevertheless, when we provide a snowmobile for rent, we conduct a detailed briefing as active recreation requires not only sporting excitement, but also strict compliance with safety rules. Snowmobiles in Moscow Region are ready for exciting trips on snow-covered slopes. You will only a desire to have a great time, and we will provide rush, safety and comfort. Where are the trips organized? 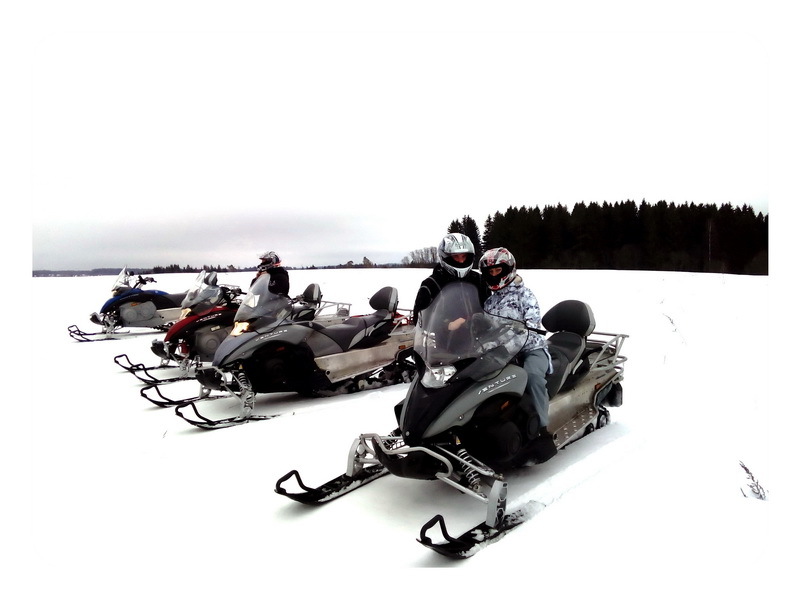 Snowmobiling takes place in Moscow Region. The trips take place near the Istra reservoir. Do you provide snowmobile rental in Moscow? Yes, we can organize snowmobile rental in Moscow and Moscow Region. Is it possible to lease a snowmobile? No, it is not possible. We do not lease snowmobiles in Moscow. We only provide snowmobiles for rent at our area in Moscow. Do you allow independent riding? Yes, you ride a snowmobile yourself. Prior to the trip you need to have a safety briefing and sing a contract on snowmobile rental in Moscow. 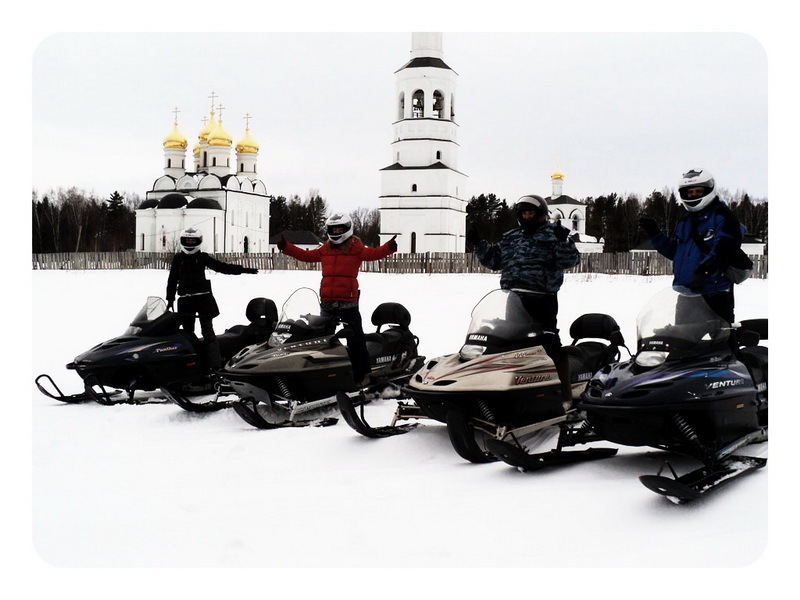 What snowmobiles do you offer for rent in Moscow Region? We provide modern comfortable four-stroke snowmobiles Yamaha. This type of vehicles is less noisy and more environmental-friendly. We are concerned about environment of Moscow Region. Our station «Snegokhodia» is located in Moscow Region, in 20-minute drive from Zelenograd (by car or by train): Moscow Region, Solnechnogorsk (Istra) District, settlement of Berezki. The settlement is located in 41 km from Moscow along Leningradskoye highway. GPS coordinates: [N 56 06' 34.7"], [E037 01' 43.2"] Attention!!! If you use GPS, please make sure your route goes through Lozhki and Povarovo, there is no railway crossing in other places. Leave Moscow taking Leningradskoye highway. Go to the settlement of Lozhki. There is a traffic light in Lozhki. At this traffic light turn left (leaving Leningradskoye highway) and head towards the settlement of Povarovo. In Povarovo pass under the railway bridge and move forward, in 200m the road turns to the right. Go approximately 3km. When you see the road sign «Berezki 0.5/Березки 0.5», turn right (exit from the road). Drive straight ahead. (If you see the sign «Mikhailovka/Михайловка» you must have missed the right turn and you will need to go back to «Berezki 0.5/Березки 0.5» and turn left). Pass a small ravine. Go to the billboard with the red inscription «Automatic gates» (photo). In 20 m there is a transformer unit on the right (installed on poles) at the crossroads. Turn left. Go to the very last houses. Turn right. Park your car at the parking lot in front of the gates. You have arrived! Leave Moscow taking Pyatnitskoye highway. Go to the settlement of Kurilovo. There is a traffic light in Kurilovo. At this traffic light turn right and head towards the settlement of Povarovo. Pass the settlement of Mikhailovka. Just outside the settlement, before the woods at the sing «Berezki 0.5/Березки 0.5» turn left. Pass a small ravine. Go to the billboard with the red inscription «Automatic gates» (photo). In 20 m there is a transformer unit on the right (installed on poles) at the crossroads. Turn left. Go to the very last houses. Turn right. Park your car at the parking lot in front of the gates. You have arrived!